A lot hinges on choosing the right dance class. If the decision is for yourself, then it’s important that you choose a class that you will enjoy, that fits your busy schedule, and that matches your idea of a beautiful style set to great music. When the decision involves picking the right class for your child, it can be even more difficult. No parent wants to spend time and effort getting their child to dance class only to discover that they quickly become discouraged or get bored. We want to ensure that our children have a great time learning to dance and that they learn skills that will benefit them later in life. 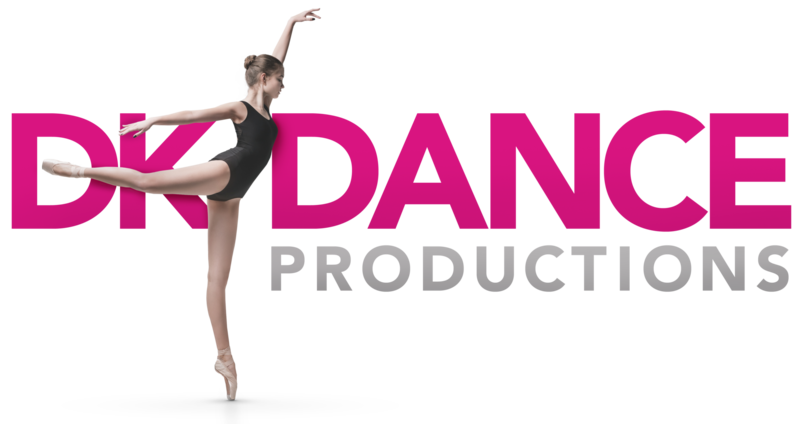 DK Dance Productions is the ideal dance studio to find the right class for you or for your child. We make it easy to pick the right dance class with a free consultation, that gives you an opportunity to describe exactly what you’re attempting to accomplish with dance lessons so that our corps of instructors, with over 75 years of combined dance instruction experience, can give you an exact recommendation for a dance class that matches your needs. Your first step to find the right dance class for you or your child is to contact us using our online form. One of our instructors will quickly email you with their recommendations. You can then enroll in the dance class knowing that you have chosen the class that best matches your expectations, skill level and age group. Toddler Move & Groove is a dance class designed for those ready to start learning and growing! Our curriculum incorporates coordination, following directions, fun dance steps, and movement-focused games, which will get your little dancer excited about learning! Ballet, Tap, Hip Hop, Tumbling, Poms and Cheer are the super fun classes your child can take at this age! Our structured curriculum focuses on technique and proper terms with age appropriate music and costuming. These dance classes provide guided learning through creative movement and sing-a-long songs to ensure your dancers are learning the fundamentals of dance and creating a solid foundation in the arts. Ballet, Tap, Hip Hop, Tumbling, Poms, and Cheer are the super fun classes your child can take at this age as well! The review of basic skills and terms starts the classes out and then proceeds into further development of fundamentals at this level. Dancers will advance in our curriculum to gain new skills and terms while learning more advanced rhythm skills to help further their ability to memorize classic steps. Ballet, Tap, Jazz, Hip Hop, Tumbling, Musical Theatre, Poms, and Cheer give each dancer at this age group plenty of choices when deciding their dance path! As the curriculum and skills advance, the dancer begins to focus on technical movement, proper terms, emotions, performance, and memorization. Growth and development for a dancer is exciting at this age as we see more engagement and understanding of movement for the dancers as they move through this level of classes. Opportunities for participation in our DK Stars Academy Performance Team and our DK Beat Crew begin at 7 yrs. old. Ballet, Tap, Jazz, Contemporary, Tumbling, Musical Theatre, Poms, and Cheer are the classes for our 9 year old and older dancers. Our curriculum continues to work on technical training, terms, and overall emotional development of our dancers. The students also work on performance quality and quality of movement as they are challenged with choreography and improvisation. Opportunities for participation in our DK Stars Academy Performance Team and our DK Beat Crew are also an option for our older dancers.